“Down and out rock star Dewey Finn gets fired from his band, and he faces a mountain of debts and depression. He takes a job as a fourth grade substitute teacher at an uptight private school where his attitude and hijinks have a powerful effect on his students. When Dewey comes up with the notion of having his class compete in a “Battle of the Bands,” he is really setting up a high-quality project-based learning (PBL) experience. At its core, PBL is about having students participate in real-world culminating events that engage them and create a driving force for learning called “Need to Knows”. In its simplest form, students are compelled to learn content — not in an effort to prove their understanding to their teachers, but to be successful in performing a real-world project. In PBL classrooms, students act as workers and teachers act as managers or coaches. Throughout the film we see Dewey allowing students the freedom to work independently to build their skills. Students are engaged because they want to be successful in the real-world project — not because their teacher demands it of them. In my classes, I try to set up high-quality projects that are driven by learning targets in line with real-world Need to Knows. For instance in Eagle Rock’s Entrepreneurship course, students compete in a business plan pitch competition judged by real-world business executives and entrepreneurs. During the course, students’ work independently on their business plans. As their teacher, I coach them individually so they successfully meet the learning targets. It is great to see students engage in a project and get passionate about the work because of its real-world implications. Dewey, our film’s protagonist, also drives his class through his passion for the arts. His love for rock ‘n’ roll is infectious to his students and he uses that music to make key points to students. For instance in the film, rock music is an outlet for emotional expression and the ability to create connections between students. That same philosophy applies to Eagle Rock School’s poetry classes. Students investigate the various factors that contribute to their own unique sense of identity. They also articulate and communicate aspects of that identity in order to build understanding and solidarity across lines of difference. Students also work on communicating their emotions in healthy and effective ways through written and oral texts. Just like Dewey’s class in the film, Eagle Rock poetry classes encourage students to use art as an outlet. However, self-expression is only part of the equation. In order to become a great rock star or a master poet, students must harness the skills of their craft. 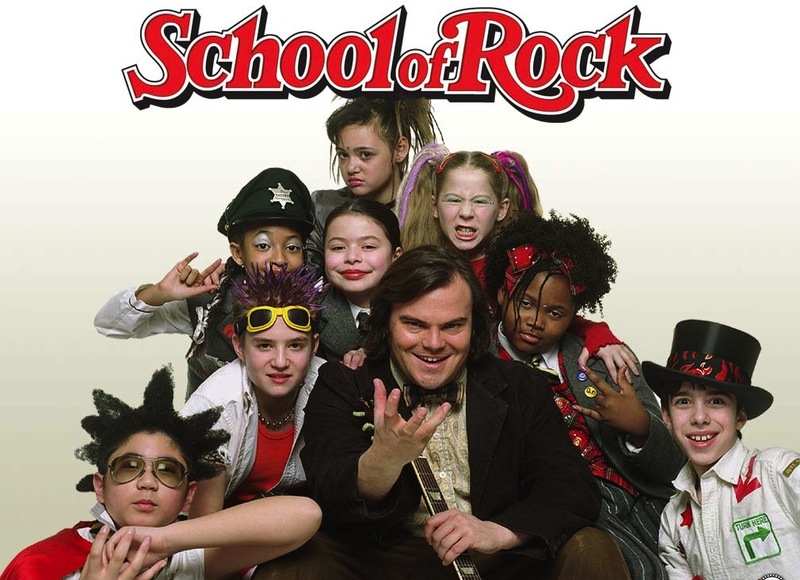 In School of Rock, Dewey not only recognizes the individual talents and skills of each student, he is willing to demand that these students develop those talents through disciplined and persistent practice so they can truly master the art form. He asks his students to watch rock ‘n’ roll legends and emulate their styles, encourages them to write their own songs, and demands that they practice and develop their instruments of choice. At Eagle Rock School — and in particular within our poetry classes — we attempt to do the same. Students master literary devices such as extended metaphor, personification, anthropomorphism and hyperbole in their written work to communicate ideas in creative and powerful ways. Students also analyze great poets in order to recognize how they use these devices effectively in their own work, and are asked to employ a variety of public speaking and theater techniques in order to enhance the power of their stage presence and performance. Poetry is not the only place we hold these high expectations, and of course, project-based learning is a core component of our school’s pedagogy. For instance, in Research — an Eagle Rock School class with a focus on academic writing — students master formal writing skills and produce high quality academic research papers that are sent to college professors to assess. Even a classic high school research paper has a real world authentic audience, which pushes the standards of student performance to its highest level. And like Dewey, our enthusiastic instructors at Eagle Rock also give it all we have in order to ensure our students are producing the best work they are capable of. Editor’s Note: This isn’t the first time the movie School of Rock has been cited on the Eagle Rock School and Professional Development Center blog. See what Michael Grant — 2015/2016 Public Allies Teaching Fellow In Music — has to say about the movie by reading our April 6, 2016, blog post Eagle Rock Staffers Look Back On Their Favorite Education-Themed Films. 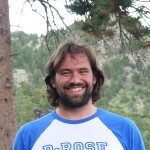 About The Author: Dan Hoffman is the Literature and Literacy Instructional Specialist at the Eagle Rock School & Professional Development Center in Estes Park, Colo. Dan received his teaching certification in secondary education and social studies from Prescott College after earning a Bachelor of Arts degree in Urban and Environmental Policy from Occidental College in Los Angeles, Calif. Before joining Eagle Rock Dan worked extensively in public schools as an instructor, teacher leader, and curriculum specialist. This entry was posted in Eagle Rock School Classroom and tagged Dan Hoffman, Project-based Learning, School of Rock. Mr Chris Salamone, who has formerly served as a faculty member at Loyola University Chicago School of Law and the National Institute of Trial Advocacy, and served as a leadership curriculum adviser at The University of Central Oklahoma is CEO of Lead America which is most respected youth leadership organizations with an unwavering commitment to quality and excellence in our academic offerings . Chris Salamone works to improve the lives of young people around the world through his many philanthropic endeavors. Mission is to ‘inspire and empower our young people to achieve their full potential and instill in them a sense of purpose, integrity, self confidence, and personal responsibility.’ This is achieved through engaging students (high school for most programs and middle school for a few) in conferences that combine challenging academics with hands-on experiential learning.